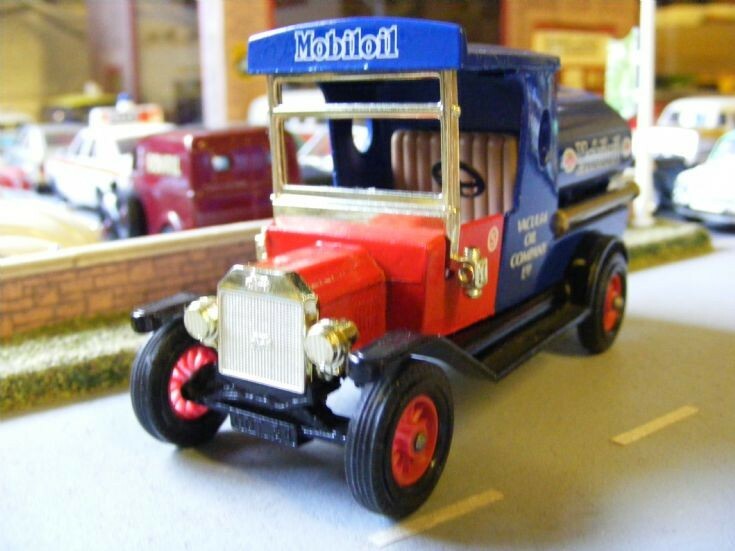 Another Matchbox Models of Yesteryear Ford Model 'T' tanker joins the Museum Collection and in particular the Petrol and Oil Display. The livery is that of the Vacuum Oil Company Limited of London who market Mobiloil. There are some details to be added such as glazing, lights and paint detailing before display.